QuickBooks Desktop 2019 has all you need to boost your workflow. It has been a long year and you are looking forward to a break before putting all your exciting plans into action for your business next year. If all you want for Christmas is a break from accounting worries, then all you will want for the New Year is QuickBooks Desktop 2019! 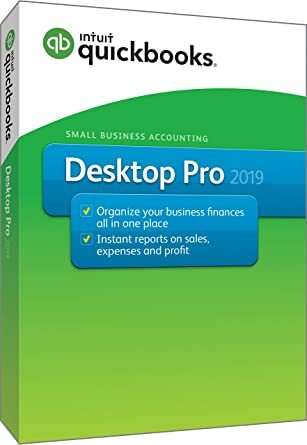 Current users will find the upgraded QuickBooks Desktop 2019 has all you need to boost your workflow, and those who are still to jump on board with the world’s leading accounting software will be off to a great start with this product. You may be a small business but your accounting demands the same focus and care as that of a multi-national corporate. The fundamentals of success in business remain the same – with good financial management being the most important link to growth and profit. QuickBooks is already helping millions of users all over the world achieve accounting peace of mind – why not your small business? As an authorised Intuit QuickBooks local partner in Southern Africa, EasyBiz Technologies understands that the business landscape in South Africa is always changing. Your ability to adapt quickly as a small business is imperative. Failure to do so may see you miss out on valuable opportunities. This is why accounting software with the agility and intuition of QuickBooks Desktop 2019 will prove a valuable partner in the coming year, which could prove to be another unpredictable rollercoaster for our economy. Manage your customers, suppliers, bank accounts and payroll with ease with QuickBooks Desktop 2019’s intuitive interface, rich functionality and automation capabilities. Once you get started (which is exceptionally simple and easy), you will wonder why it has taken you this long to do away with your trusty spread sheets and discover that QuickBooks Desktop 2019 truly has all you need to boost your workflow. Working smarter not harder is a great motto and one which shows dividends for small business owners, who have a lot on their plate on any given day. Not all small business owners are financially savvy; your passion and creativity may lie in other areas, leaving you frustrated at not being able to properly manage your accounts. It is not necessary to be an accounting guru with QuickBooks Desktop 2019. Let this accounting software do all the work while you are freed up to pursue your passion. What is more, every solution comes standard with EasyBiz Perks, which offers all the support and added functionality you need, when you need it! And, that is not all. The EasyBiz Perks Portal is also included in your licence, giving you on-the-go access to your desktop company data as well as other innovative cloud features and functionality that sync straight back to your QuickBooks Desktop package. Make 2019 your year. Talk to EasyBiz Technologies about your accounting software needs today. previous post: Smart SMEs are conducting business in the cloud today. next post: What is the easiest accounting software for small businesses?